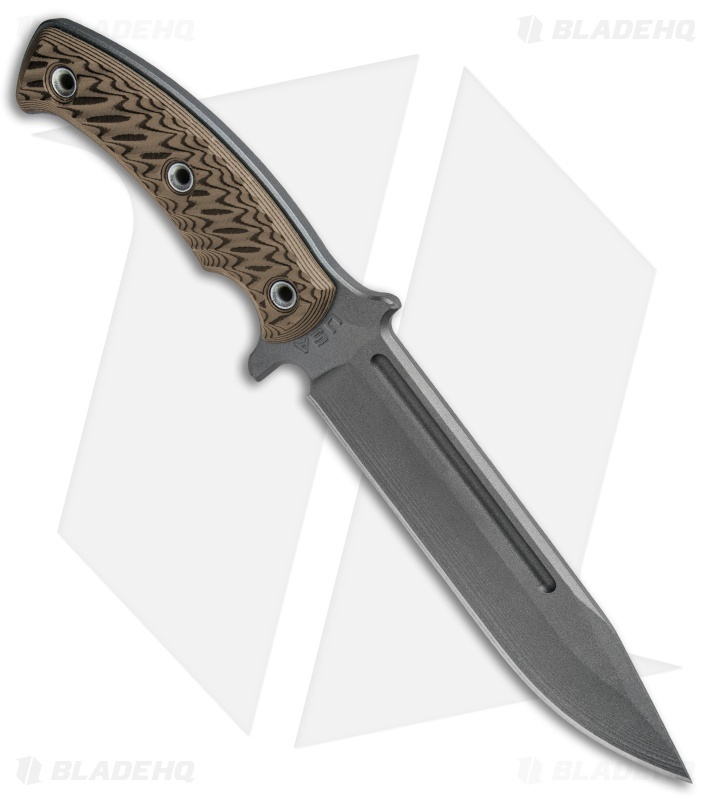 This Combat Africa fixed blade is outfitted with hyena brown G-10 handle scales and a sniper gray Cerakote finish. With the Combat Africa, RMJ tactical wanted to create a versatile and heavy duty fixed blade for managing any tactical situation. It has an oversized 1/4 inch thick blade that is built to withstand the extreme conditions in mountains, jungles, and deserts. 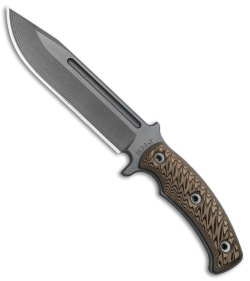 The grippy G-10 scales are provided by VZ Grips. 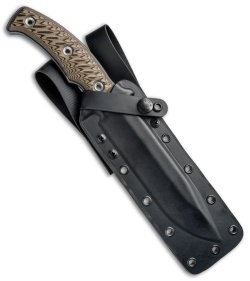 Item includes a friction fit kydex sheath. 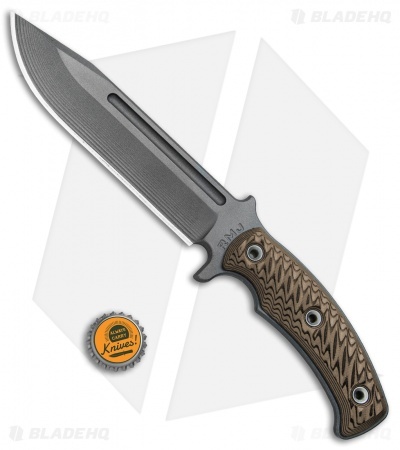 Thick carbon steel blade provides a solid platform for a variety of tactical tasks. Precision G-10 handle scales from VZ Grips ensure a solid, high performance grip. Friction fit kydex sheath with low ride MOC straps for comfortable belt carry.